Who doesn't love nail polish? 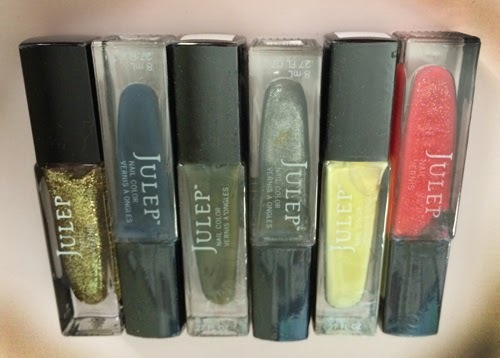 One winner will get the SIX Julep polishes pictured above -- Gold Glitter, Eloise (navy), Laura (green), Brit (silver suede), Bea (yellow) and Sarah (hot pink with glitter). I absolutely love Julep polishes and am a member of the Maven program, where you get a box of goodies each month. A winner will be announced on April 1. U.S. entries only please. Good luck!